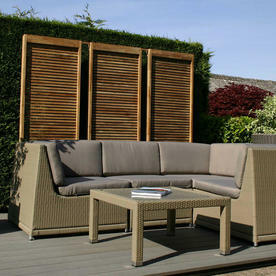 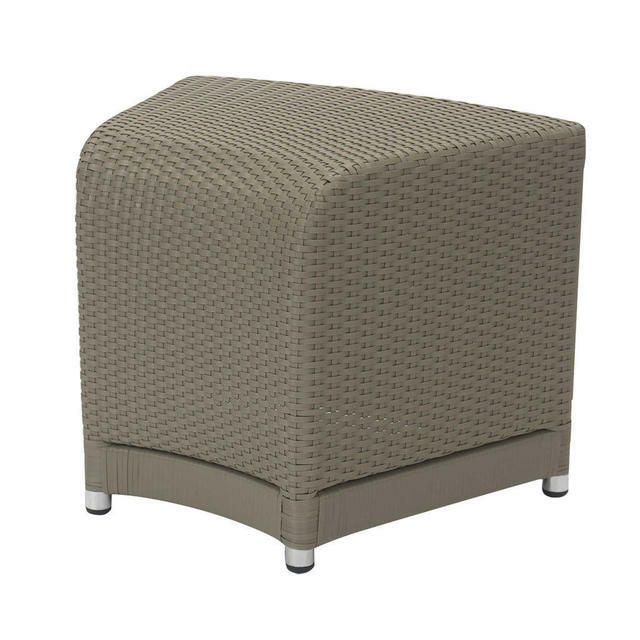 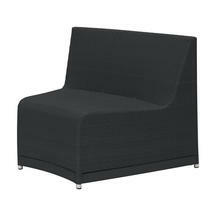 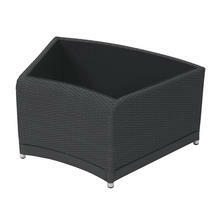 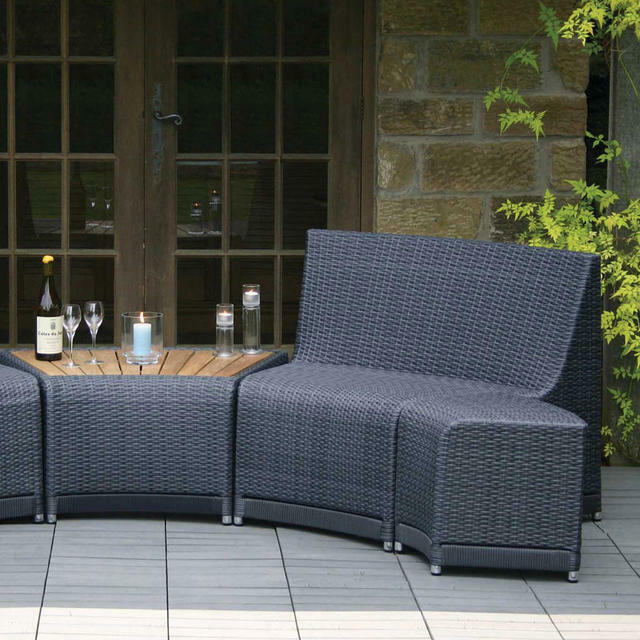 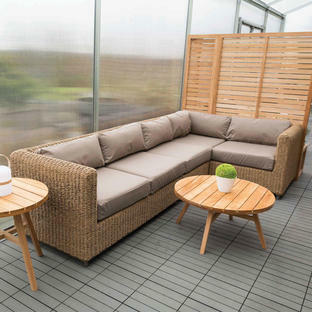 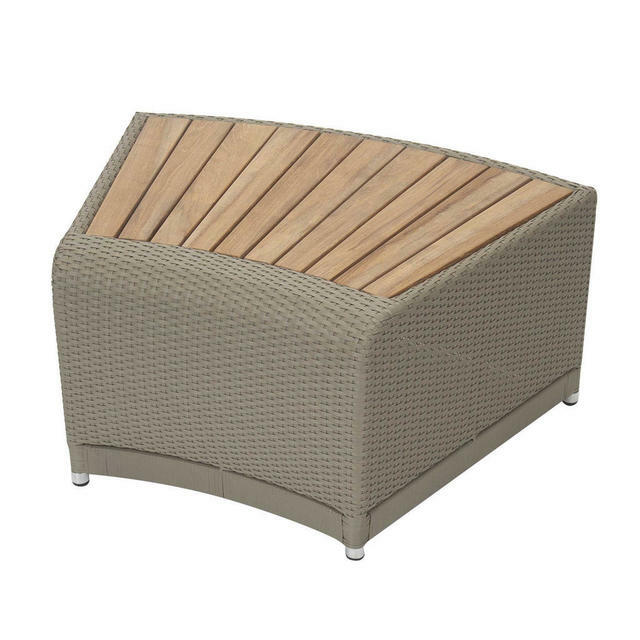 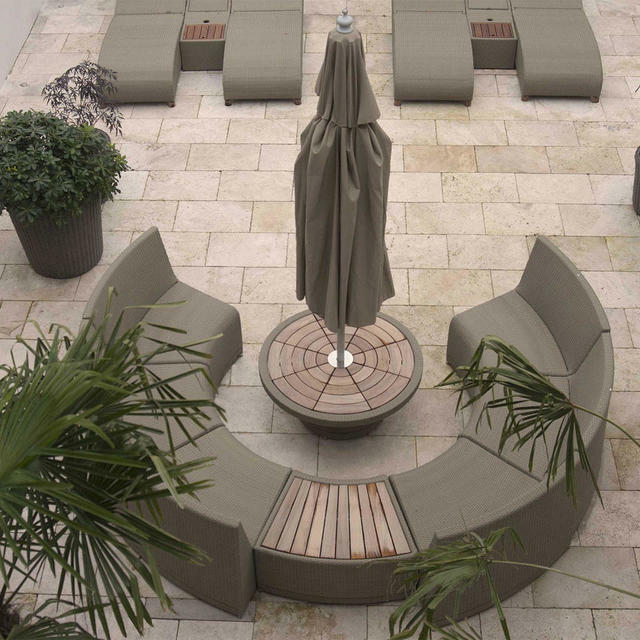 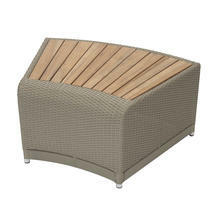 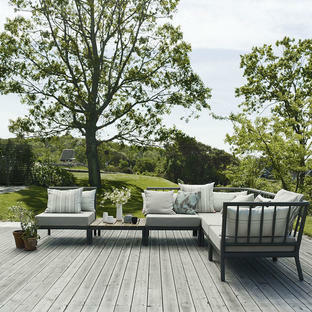 Perfect for relaxed conversation and alfresco living with this elegant outdoor modular seating. 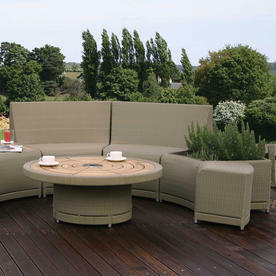 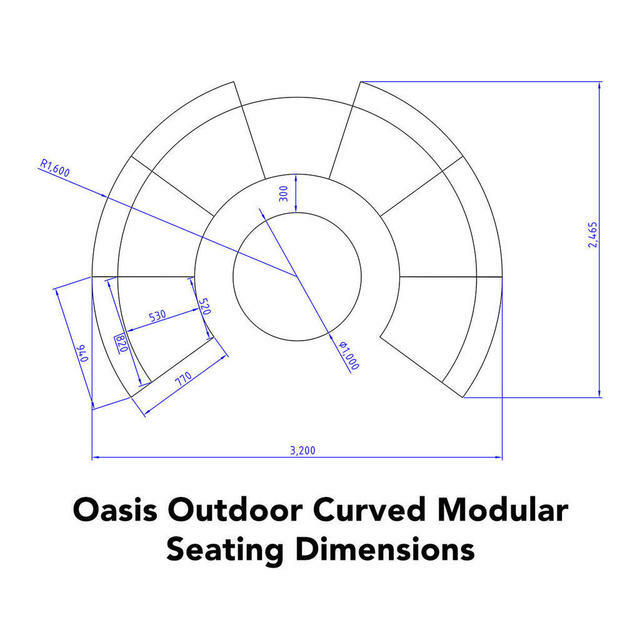 This modular outdoor seating collection with deep and comfortable units and gentle curves. 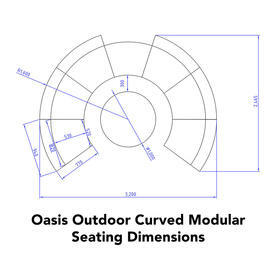 The collection consists of individual modular curved seats which can be grouped together to create a seamless curved sofa, or interspersed with the side table module or even the planter module. 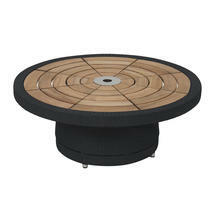 The circular coffee table also also a slated teak top with an integrated parasol hole, so a parasol can be housed in the middle of the table. 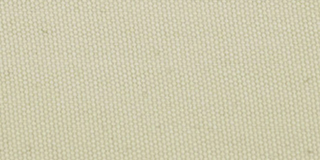 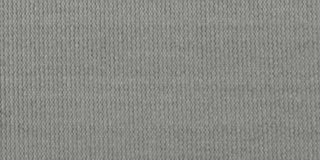 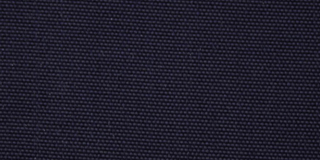 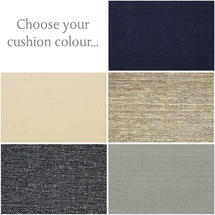 Choose from a choice of 2 weave colours. 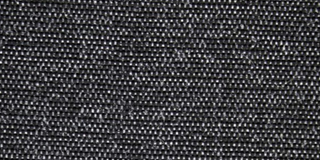 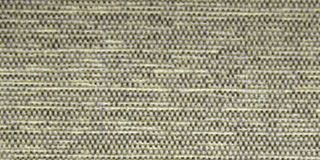 Synthetic weave over a aluminium frame. The side table top is made from slatted plantation teak, this will gently weather to a soft silver grey over time. The seat height of the modular units is 41cm. The height of the side table is 41cm to give a seamless line along the unit. 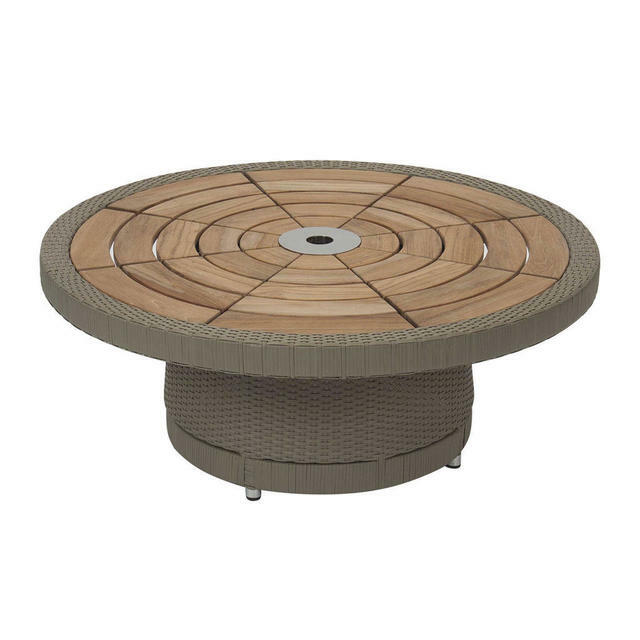 A parasol base will need to be used un conjunction with the coffee table to support the weight of the parasol, see here for parasol bases.